Abstract.—Thirty-eight brook trout Salvelinus fontinalis were fed a commercial trout diet mixed with a free-choice assortment of soft plastic lures (SPLs) over a 90-d period. Fish growth was recorded and compared with that of a control group. The brook trout readily ate the SPLs from the water's surface as well as from the tank bottom. At the conclusion of the study, SPLs were recovered from the stomachs of 63% of the test fish. Several fish stomachs contained multiple lures. Twelve percent of the fish voluntarily ingested more than 10% of their body mass in SPLs. These fish lost a significant amount of weight during the study, had a significant decrease in body condition factor, and began displaying anorexic behaviors. For these reasons, anglers should be discouraged from discarding used SPLs in trout waters. If I ate some of the stuff that I tie onto the end of my line, I expect that I would get pretty constipated. 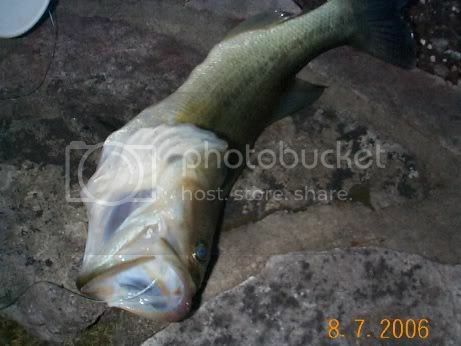 Didn't Bob run into this with a bass awhile back? The things stocked trout eat is ridiculous! They have to be some of the most retarded fish ever. It is amazing though, within about 6 months from stocking, the trout that do survive really do go wild and get smart. Russ yes it applies to LMB as well. I had first noticed this with LMB two or three years ago and didn't quite realize what was going on. This guy had a plastic worm in his tummy when I opened him up. 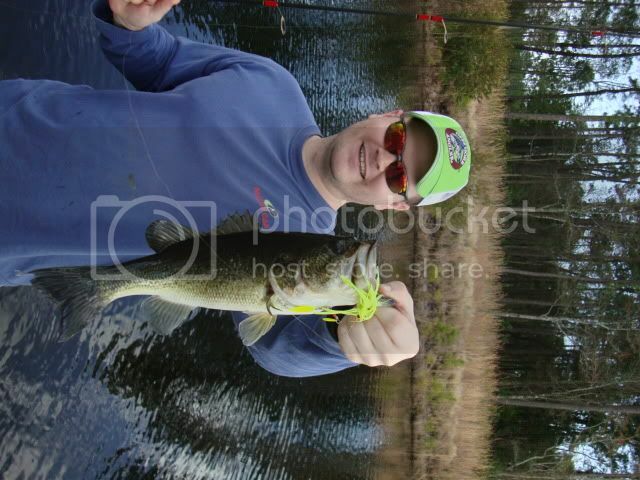 A few weeks later, I got another very skinny LMB that had a white plastic grub in its stomach. The consequences finally hit me when Lusk wrote about it, but I still didn't fully comprehend the problem. The presentation at last year's convention finally hammered it into my brain. As I was listening to the presentation, I envisioned the furry and toothy critter that tore into the "fishing purse" I'd left hanging at the end of my dock. I could just see him ripping open all my bags of soft plastics, and letting them drop into the pond -- except for those that must have given him a heck of a bellyache. After last year's convention I pretty much swore off using soft plastics and GULP products in the pond. But, last fall I finally threw them all out after I found that my chickens had snuck (sneaked??) into the shed where I keep my fishing equipment. They were ripping at several bags of soft plastics. I'm not sure what would have happened to the chickens had they eaten a bunch of soft plastics. Boy Ken, that's gotta be one big sign. It's a 6-foot 1x8 pine board, mounted vertically. I have about 4-feet left. When it gets filled up, there is a second post at the end of the dock! This is the great thing about owning your own pond, YOU decide the rules and that is the way it should be! What is the problem with GULP products, catmandoo? Is it just that they are a weak worm material that has a tendency to come off the hook? IIRC Gulp is a very porous, sort of plastic that holds (and resoaks up) the flavored scent liquid it is in very well. It's not digestible any (or much) more than a standard plastic bait. Nauseous first, I would think. But y'all Texans have pretty tough constitutions. I can't recall having ever lost a Gulp worm while fishing, except for the maybe the flat part of the tail( The last 1-2" ) or if hook and all were lost. But since Mustad discontinued it's best worm hook, I rarely use plastic any more.